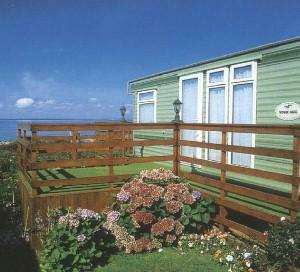 A select, family run and maintained caravan park, situated on the Mid Wales Coast just 2 miles north of Barmouth, with magnificent views over Cardigan Bay and the Lleyn Peninsular. 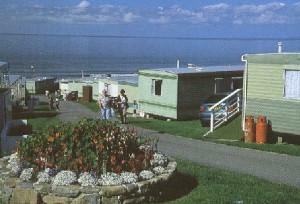 Caerddaniel Caravan Park borders on miles of beautiful sandy beach - ideal for families with children. The surrounding area is ideal for hiking or walking, try one of the many footpaths which offer excellent views of the surrounding countryside such as the 'Panorama Mountain Walk' or the 'New Precipice Walk' with views over the beautiful Mawddach Estuary. Mountain biking enthusiasts can try the Coed Y Brenin Centre which offers forestry and hill trails from easy family runs to the expert 'Bull Run'. Enjoy golf on the wooded hillside course at Dolgellau or the splendid Royal St David's course at Harlech or simply while away hours fishing the local rivers, reservoirs or in the Estuary. Apart from being in some of Wales most beautiful scenery, Caerddaniel is ideally situated for visiting many local attractions including Harlech and Caernarfon Castles, Portmeirion Italianate Village, Snowdon. Talyllyn, Fairbourne, and Ffestiniog Light Railways - offering scenic trips on the old steam trains. The local lakes - from Cwm Bychan and the Roman Steps to the famed Blue Lake at Fairbourne. Slate caverns - at Llanfair and Blaenau Ffestiniog, skiing on a dry ski slope at Trawsfynydd, and many others. Enjoy your holiday in one of our luxury 6 berth caravans. These well equipped caravans come with homely comforts such as a microwave, toaster, gas cooking and heating, fridge and colour television. Two and three bedroom caravans are available. Located on an elevated site with sea view. The caravans are all well maintained up to Wales Tourist Board Dragon Award standards. For your convenience we have a well stocked self service shop. There is a payphone kiosk, site office to help with enquiries and distribute leaflets of local attractions, a launderette, a children's play area, ladies and gents showers, toilets, sockets for hairdryers and shavers. For indoor and evening pleasure the Wayside Inn is only a short walk away. It has a good restaurant, take away, children's room and occasional evening entertainment.